Just For The Win (JFTW) might be somewhat of a new addition to the ever-growing ocean of game providers, but this team is surely charging full-steam ahead. Their portfolio of games delivers distinct style and gameplay intent on reinventing the wheel, or perhaps, the reel! Lucky Links reveals itself with a seemingly trim and simple yet polished design. Give it a few spins and you’ll find out some great features, with the eponymous special feature – Lucky Links with Re-spins – being the centrepiece. It’s also a low variance game that is known to pay out quite often. Part of the reason for this is that its bet lines payout in both directions, so regardless of your stake, there’s always a good chance of seeing wins rolling in. Lucky Links looks and runs as good on mobile phones and other smart devices as it does on PC. No downloading is required as you’ll be streaming the game in real-time, making fun-on-the-run possible. Let’s take a closer look at Lucky Links to see what it’s all about. Lucky Links is designed with 5 reels and 4 rows. The RTP is set at a fair 96.2%. What’s immediately attractive about this game is that there are 20 paylines and they pay out both from-left-to-right and from-right-to-left. This gets you in with a good chance for frequent wins. The lowest possible bet is € 0.1 but you can play at an even higher amount. Both casual players and high-rollers will find this game to be a treat due to the steep range of bets possible. While Lucky Links doesn’t provide a wealth in terms of different special features, what it has worked perfectly towards making for pleasant gaming as well as earning you frequent wins. The main special feature is the Lucky Links with Re-Spins. This is triggered in the base game. Every time you spin the reel to start a round, one random symbol will be automatically chosen and framed in a Lucky Link frame. Any other similarly framed, identical symbols appearing on adjacent reels that line up horizontally with the first symbol will interlock with that symbol and freeze in place. A re-spin is triggered and the process of interlocking plus re-spin continues for as long as framed symbols land next to one another on adjacent reels. Otherwise, the round ends when no more frames land horizontally or when all reels are already locked. Clearly, getting Lucky Links with the Lucky Link symbol – the highest-paying one – to connect has the potential for the biggest wins. 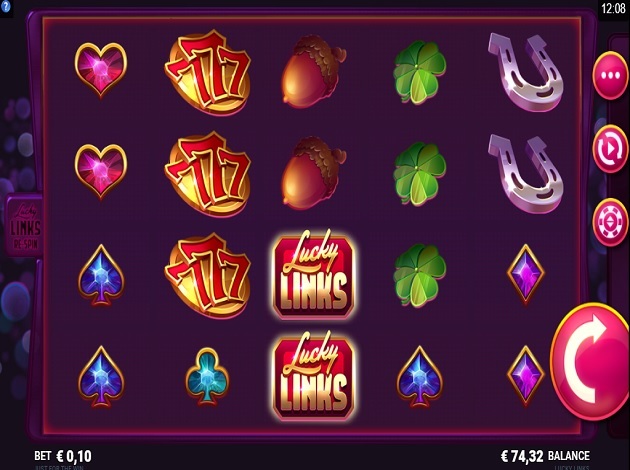 If you fill the entire screen with bespoke Lucky Link symbols, you’ll crack the non-progressive jackpot, which is simply the biggest win possible. The amount, however, depends entirely on your stake’s size. The other special feature is the pay lines that pay both ways, which we’ve already touched upon earlier. There are 20 fixed lines in all. Moving onto Lucky Links’ payouts, the game has 20 pay lines that pay out both ways. This means from left to right and from right to left. The payout per win always depends on your bet size set during that spin. You’ll need a minimum of 3 matching symbols and a maximum of 5 for a win. There are 5 high-paying symbols and 4 low-paying ones. Lucky Links might look simple in terms of designs at first glance. Start spinning the reels and this slot will reveal itself to be quite a lavish and colourful game. The graphics are top-notch. For instance, the animations of the Lucky Links locking in place as well as the neon blue beam that appears as a trace of a spinning reel creates somewhat of a space theme. Other effects include different plays of lights whenever wins are made. The atmosphere is further enhanced by the colourful yet slightly soft bubbles in the background. The soundtrack in the base game is a relaxing yet futuristic electric tune. Whenever you get a winning combo, or even more so a particularly big win, the tune changes and escalates to intensify the excitement of the moment. Lucky Links will pull you in with its vivid yet soothing ambience. It doesn’t pack too many special features, but what it has is surely enough to generate some fun times and potentially frequent wins. The two-way pay-lines and the wide range of bet values possible will attract both casual players and high-rollers alike. So, now that you’ve got a good idea what this slot’s all about, it’s time to get playing. Head over to Videoslots.com and play Lucky Links! Just For The Win (JFTW) is a game developer launched in 2016 that puts its main focus on delivering fun gaming content, mainly video slot games that are delivered to the biggest operators around the world. JFTW was established by a group of developers, game designers, and professionals with a vast experience – coming from some of the biggest names in the gaming industry. Right now, their team consisted of 20 people of 11 nationalities, that all come together to create and develop new, innovative, and unique gaming cultures. 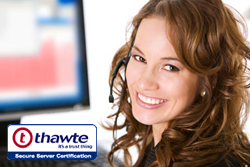 They strive to build excellent communication and partnership with their clients and operators, to ensure that their games can guarantee a fun and unique gaming experience for players. Besides Lucky Links, other games from JFTW offered at Videoslots.com include Goldwyn’s Fairies, which is a perfect example of the fun themes, and rewarding and innovative features the developer has to offer.